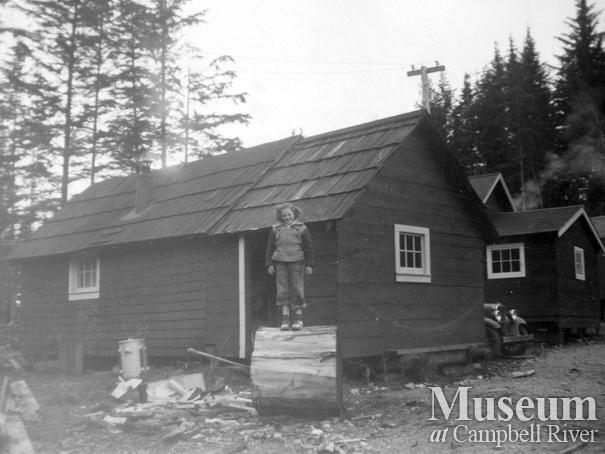 A member of the Wylie family in front of the camp buildings at Coal Creek Logging Ltd. camp at Granite Bay. 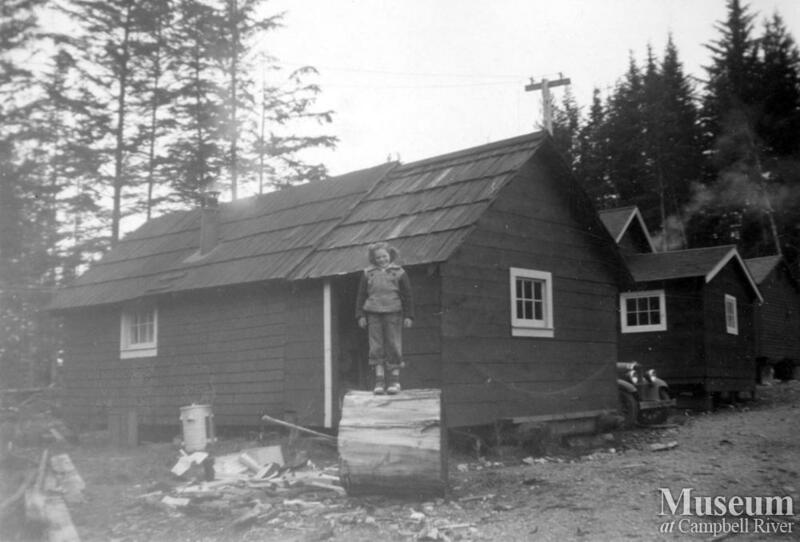 Coal Creek Logging Ltd. was owned and operated by Les and Agnes Bestwick. In 1944 they moved their truck logging operations to Granite Bay and logged in that area until 1955/56. They sold their logging operation to the Baikie Brothers of Campbell River.